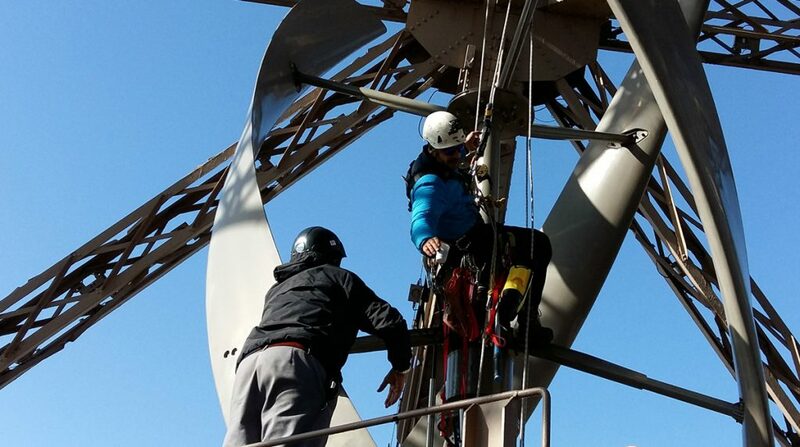 October 2018 : maintenance operation on the wind turbines on the second floor of the Eiffel Tower. 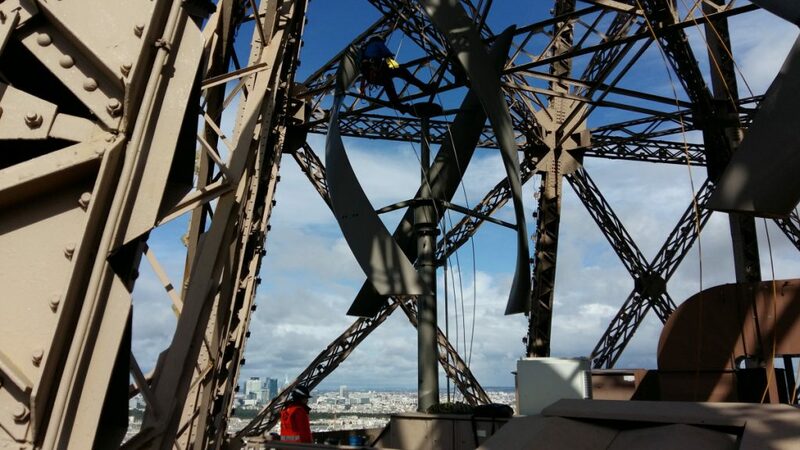 Since 2015, and in collaboration with UGE V-AIR, BATEG and the Société d’Exploitation de la Tour Eiffel (Eiffel Tower Operating Company), ENERLICE has been maintaining and servicing the two VisionAir5 turbines installed on the second floor of the Eiffel Tower. 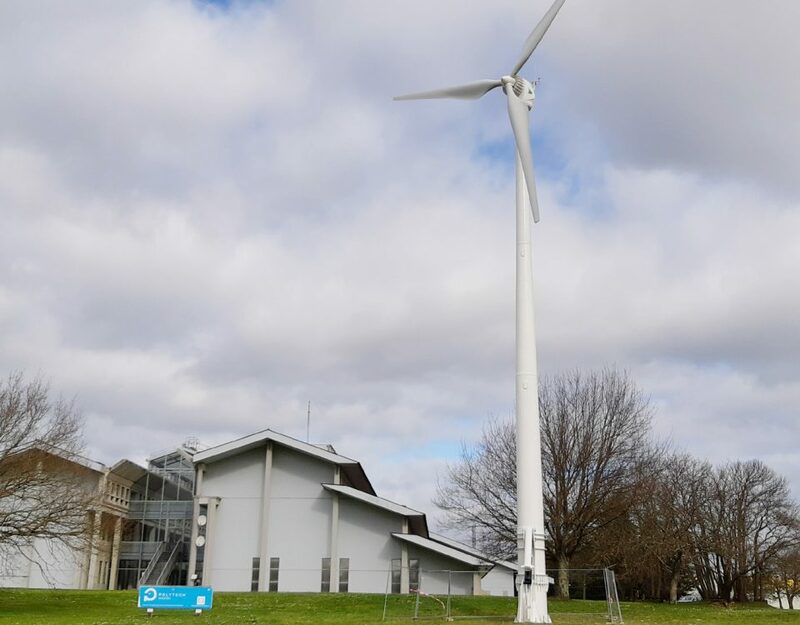 Rising to 127 metres above ground level with an estimated annual production of 10,000 kWh, these wind turbines provide for the power consumption of the shop on the first floor of the tower. Visited by nearly 7 million tourists each year, the famous Eiffel Tower, now 125 years old, has committed itself to a plan to reduce its ecological footprint. The Société d’Exploitation de la Tour Eiffel (SETE) has therefore decided to install two vertical-axis wind turbines on the tower. 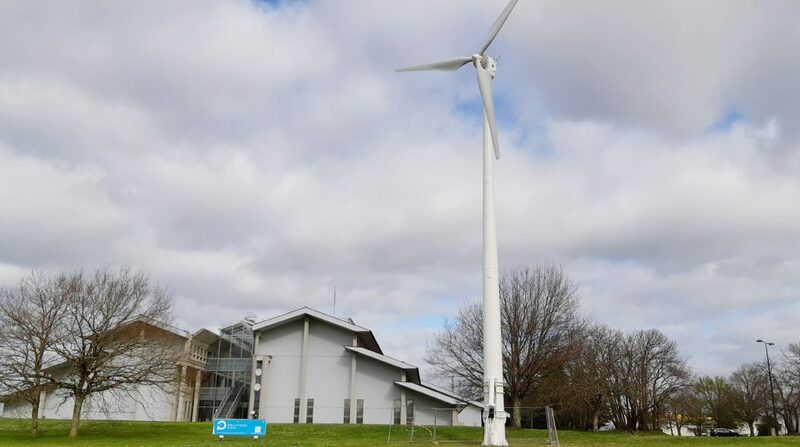 Manufactured by the American company Urban Green Energy, the two wind turbines are 7 metres high with a span of 3 metres. They have been installed on the second floor, “as this area is more appropriate for an optimum wind load”.